Cooking or contemplating new recipes has always, for me, been the perfect Angst-Free Zone. I started copying and collecting recipes from my mother and grandmother when I was ten or eleven years old, painstakingly printing them by hand and tucking them into my $1.00 dime store metal recipe box. This activity was pure pleasure for me, an escape from summer boredom and a refuge from bad days at school. With the election and crazy world events of late, there seems to be debates or conflict or pressure to “believe what I believe!” at every turn. The phone rings in the evenings with political calls; TV ads blare about Whose Fault Everything Is; and even Facebook, normally an Angst Free Zone for me, now feels like one of those awkward family conflicts that you happen to walk in on, and can’t wait to escape from. That’s me! 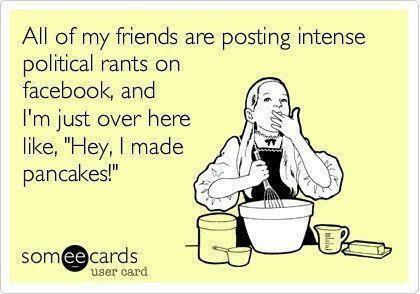 I’m just over here in my Angst-Free Kitchen Corner saying, “Hey! I made cabbage!” Although, I must say it was really, really great cabbage. Sliced in thick steak-like slices and slathered with butter and seasoning. 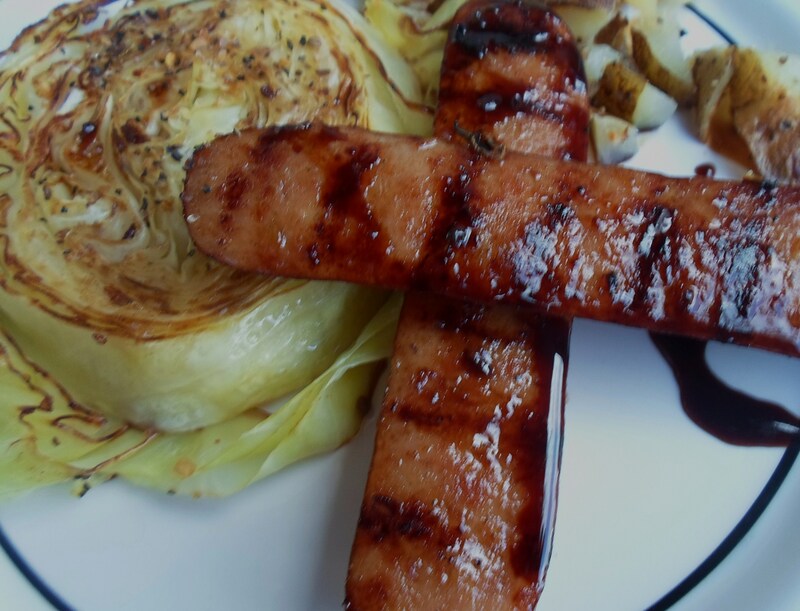 Then served with grilled chicken-apple sausages and drizzled with a honey-balsamic reduction. 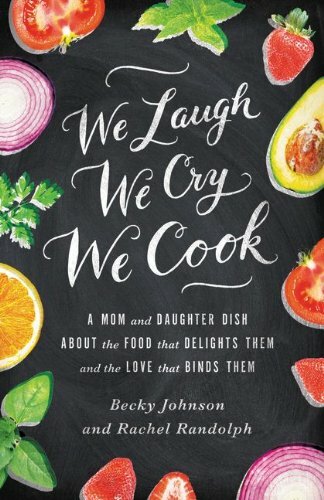 Every good hostess knows that the best way to break up an awkward family debate is to divert attention by cooking something that smells amazing, and looks so delicious that all conversation stops, as wordless lip-licking and tummy-rubbing take over. This is one of those simple, delicious, comforting meals that could possibly bring about World Peace. At least at your dining table. 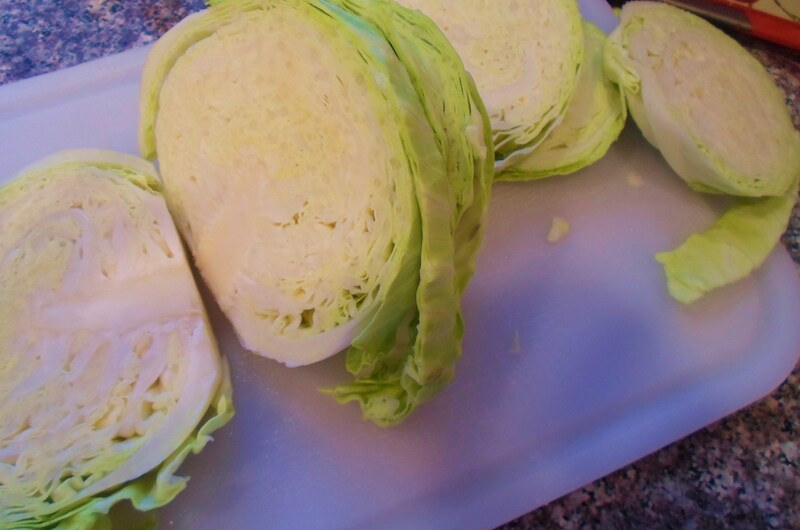 Slice cabbage in 3/4 inch pieces as shown below. Put olive oil and butter on a large baking sheet, and place in the oven for a minute until butter melts. Using a pastry brush, mix the oil and butter together and spread evenly on pan. 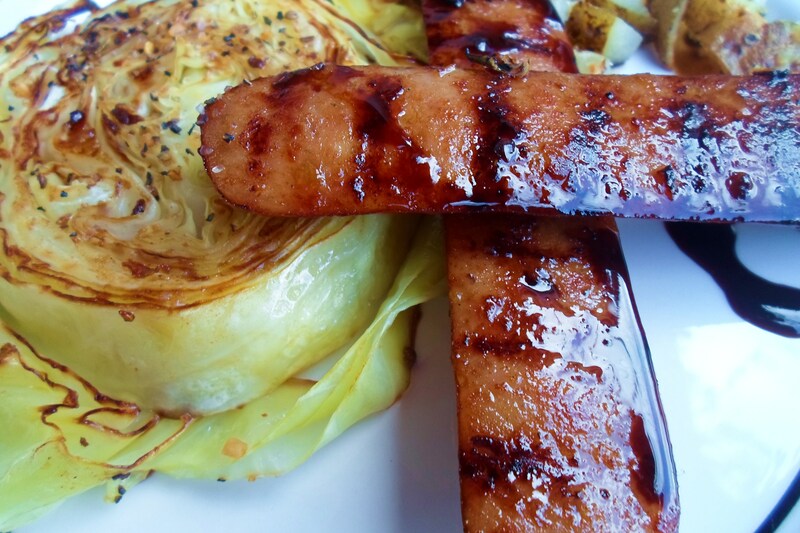 Lay the cabbage pieces on the buttered-oiled pan, leaving space between each piece. 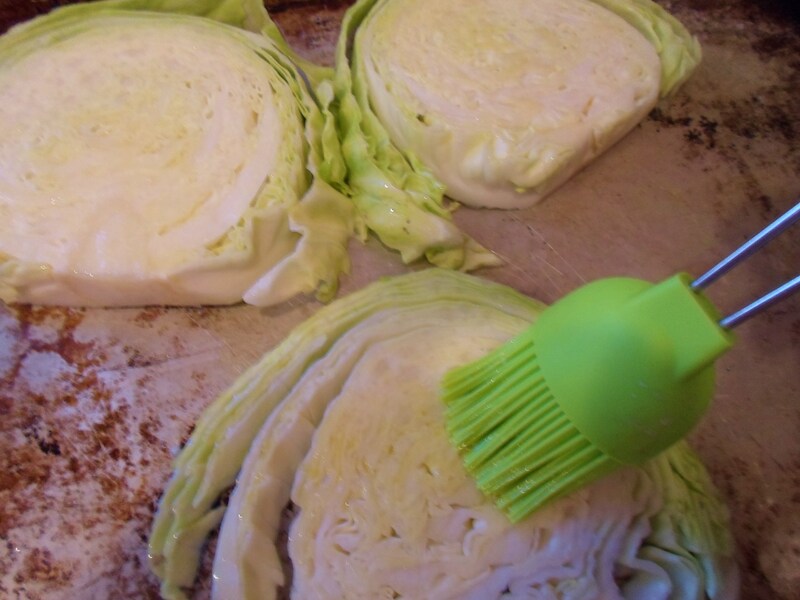 Dip pastry brush into excess oil-butter surrounding the cabbage slices, and brush the tops of the cabbage. Sprinkle with salt and pepper or grill seasoning, lightly. Put in oven to roast for 15 to 20 minutes or until the bottom turns dark brown in places. With a wide spatula, turn over, and sprinkle this side with salt and pepper or grill seasoning as well. Return to oven for another 10 to 15 minutes or until as soft as you like it. 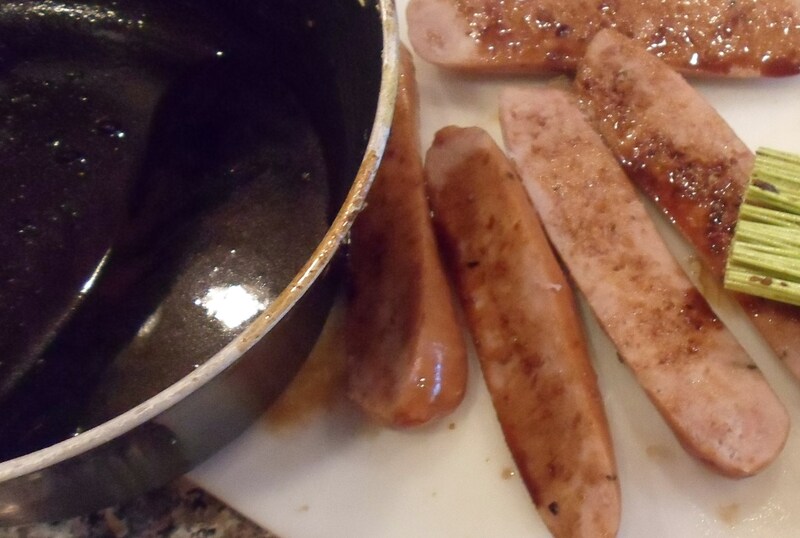 In a small saucepan, mix the vinegar, honey and garlic together and stir over a low flame. 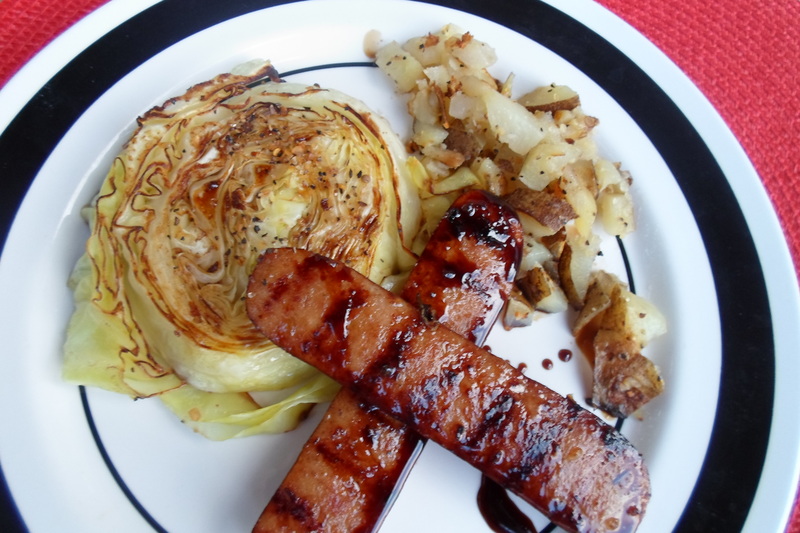 Cut sausages in half, lengthwise and brush the cut sides with some of the balsamic mixture. 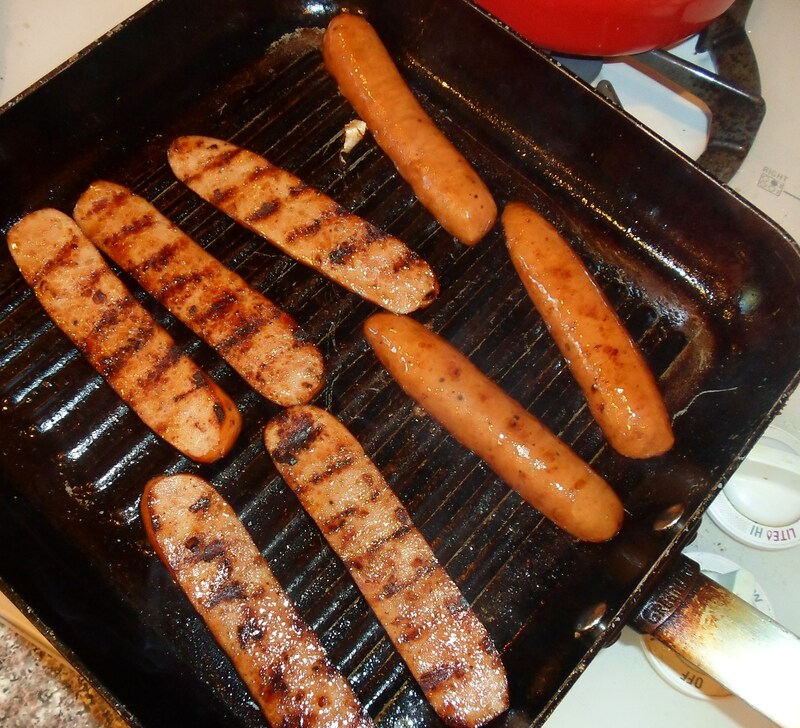 Put on oiled grill pan, cut side down and grill until nice dark grill marks appear and sausage is sizzling hot. Turn over and heat the other side. In the meantime allow the balsamic mixture to continue to simmer (at medium to medium high heat) until it is reduced by half, and syrupy. Yum…. thanks for the tip! !